Here’s something helpful for your bathroom! Do you buy Charmin toilet paper but the rolls just don’t fit? 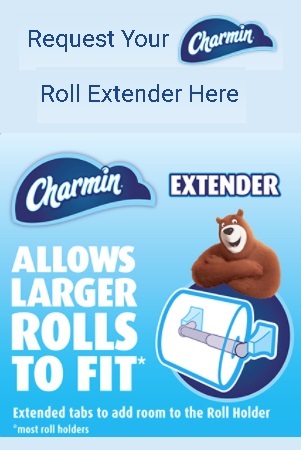 Right now, click the “Snag This” link and get a FREE Charmin Mega Roll Extender! Fill out the form and get up to 3 extenders shipped to you for FREE. To buy more Charmin products, shop on Amazon.